Eredivisie U-19 2014/2015 champion with Ajax. Despite being only 17-years-old, Carel Eiting is already a member of Ajax Amsterdam U19 – current Eredivisie U19 champion and a team with plenty of extremely talented players, such as Donny van de Beek, Abdelhak Nouri, Vaclav Cerny, Adham El Idrissi, Zakaria El Azzouzi and Gino Dekker. 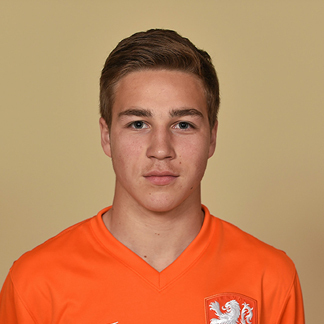 Carel was one of the key figures of Netherlands U17 team at the 2015 European Under-17 Championship, but “Jong Oranje” performance was a big disappointment, they went home after the group stages and failed to qualify for the U17 World Cup, which takes place in October.